First Look is our weekly environment created for your infant (six weeks) through preschool-aged Children. We are so excited to meet them! This stage of life your children are learning and growing in surprising ways. We look forward to seeing. 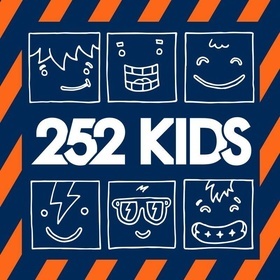 In 252 Kids, we believe the Bible should never be boring, worship can be loud, and good leaders always care. The focus is on our small group environment. We want kids to see how God’s Word fits in their lives, to learn how to talk to him, and to build friendships that will last.